Walked into my classroom this morning and discovered this. 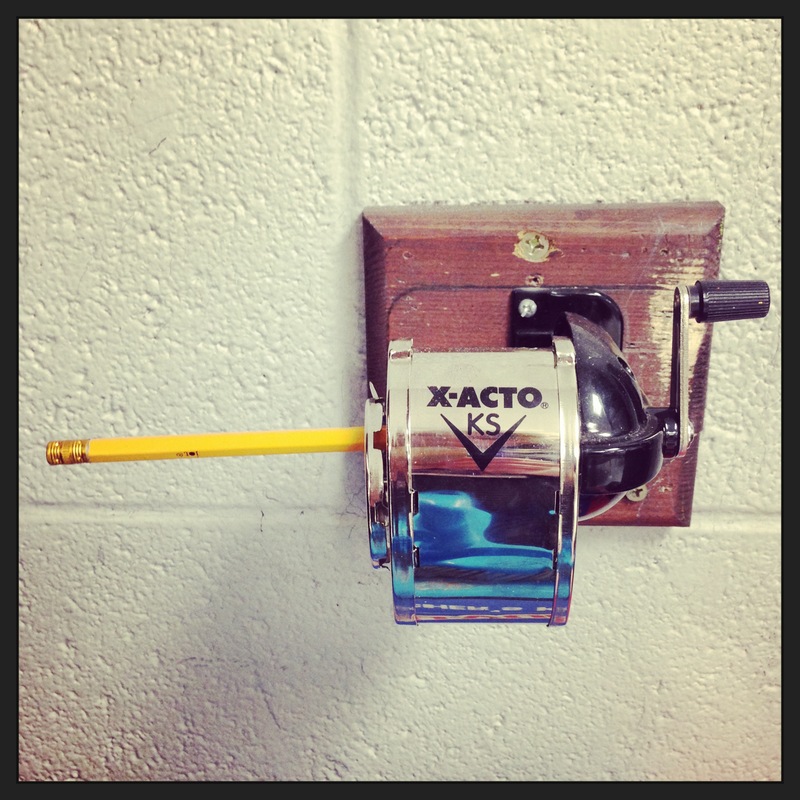 Either someone was claiming first place in the pencil sharpening queue… or they gave up. Further proof the sharpener is aggravatingly difficult to use? Posted on February 12, 2015 by Katie •	This entry was posted in School. Bookmark the permalink.